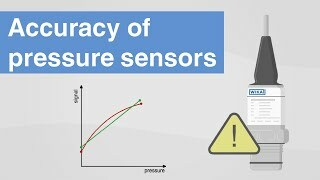 You can have a WIKA pressure sensor in numerous variants: Around 176 measuring ranges are available from 0.36 to 200,000 psi in the main international units, as gauge pressure, absolute pressure and vacuum, but also as compound ranges. We have over 14 output signals in our portfolio, including a number of current and voltage signals, and RS232 and bus signals. Different connectors and various cables can be selected from the 18 electrical connections. In a selection of 34 pressure connections, you'll be able to find internationally established thread types and also flush connections. Furthermore, an infinite number of options complete our broad spectrum. Among these, you will find various accuracies, pressure-spike damping, designs for special media and special ambient conditions, and much more. With highly dynamic pressures to 200,000 psi, the model HP-2 is used, while the SL-1 pressure sensor is suitable for the smallest of measuring ranges to 0 ... 0.36 psi.